What happens when you invite community developers, urban entrepreneurs, workers, foodies, public space hackers, cultural urban planners, artists, designers, cultural geographers, and dreamers to swarm a neighborhood and transform it for one month? The Community of the Future! It is a month of eye opening events to explore the incredible new Bridgeport. The upcoming events this week in May are listed below. “Private Feast” is a series of interactive participatory performances, a set up for exploring diverse cultures and practicing a collective imagination in a social environment performed with artist, Hoyun Son. A special pre-release party for Mash Tun: A Craft Beer Journal at 7pm. Editor Ed Marszewski writes from the journal and will read texts while sampling out craft beer. Join the Community Supported Supper Club this May as part of Version 12. Sited in the Victorian dining romm of Benton House, we are continuing the long tradition of underground eating and drinking establishments in Bridgeport. Astro Space Party (astrospaceparty.info) is a Chicago based virtual gallery that curates one original content video horoscope each week. All videos are made exclusively for the site. To celebrate the impending launch of Space Station TV a sister site that will feature artist made television with curated channels, a three episode kickoff series will be performed and taped live at Version 12. This archive cent4er will host Jason Lazarus’ Phase 1 – a growing archive of publicly recreated OWS signs used globally for ongoing public occupations, display and exhibition. For the last eight years the Zhou B Art Center has become a hub and growing community for artists from Chicago and abroad. Located in the heart of Bridgeport the Zhou B Art Center has become a catalyst for the advancement, promotion and creation of art in the south side of Chicago. Our very own Lexington Square is located in Bridgeport and is very excited about this month long transformation! 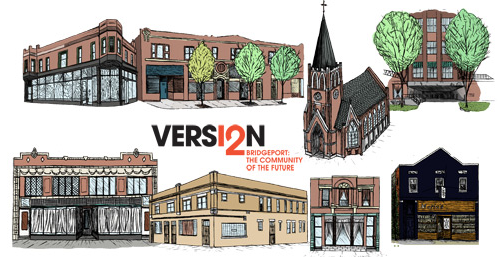 For more information about Bridgeport: The Community of the Future, please visit their website!